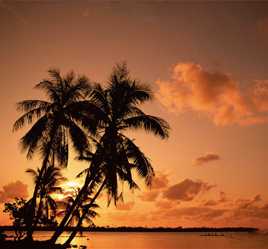 Enjoy tranquility of white powder beaches. 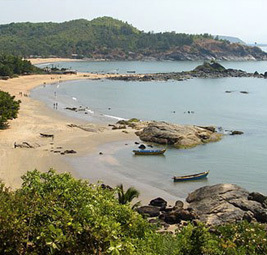 Goa, a tiny emarand land on the west coast. 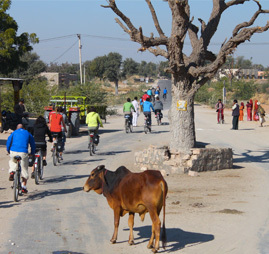 Cycling through villages of coastal routes is pleasant and relaxing experience. Experience - The Romantic Backwaters Of Kerala. Visit heritage sites at Belur, Helebidu and Hindu temples. In the evening enjoy the sunset near the chinese fishing nets. 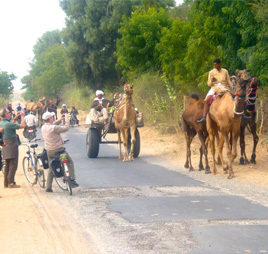 Bicycle via beautiful coastal landscape and enroute visit villages. 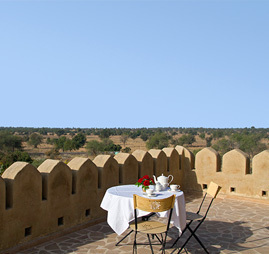 Journey on the route unveiled treasure of amazing nature. 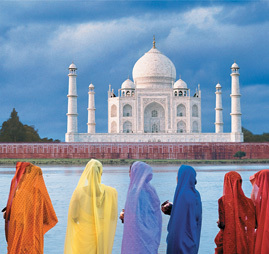 Explore south India - God's Own Country. An unforgettable cruise on the backwaters of Kerala. 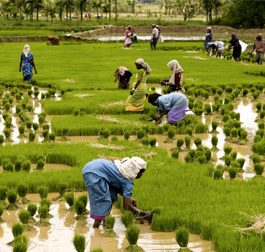 Experience the countryside & interact with the Keralan people. 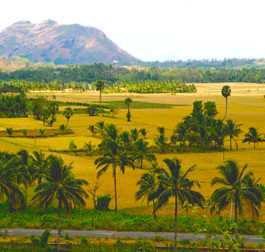 A beautiful pictureque of Paddy fields, backwaters and becahes. 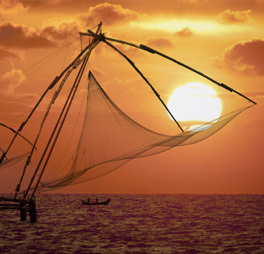 Visit the attractive old town and famous places of Cochin. 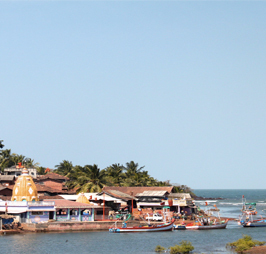 Explore Varkala an unspoiled village with a lovely beach. Cycling through Kerala coastline beside magnificent tropical beaches. Visit Kathakali performance in a local theatre in Kochi. Munnar - Large expanse of tea plantations, forest and wildlife. Traditional lunches with local families and visit Spice plantations. Cochin - Fascinating colonial coastal town. Mahabalipuram is famous for their spectacular rock temple carving. 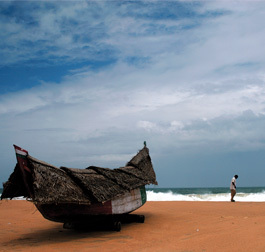 MAHABALIPURAM - PONDICHERRY - THANJAVORE - PUDUKOTTAI - MADURAI - VARKALA. 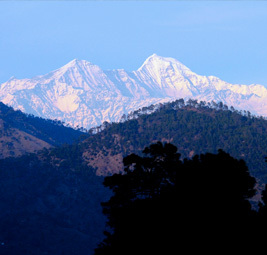 Kumaon is a paradise for nature lovers. Cycling through villages, valleys and forest. 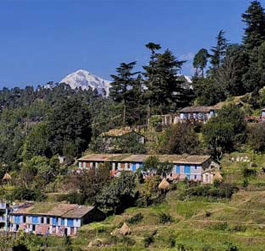 Enjoy the scenic landscape & culture of Kumaon on cycling. View of Mt. Nanda Devi (highest mountain of Uttarakhand) & Tigers park. 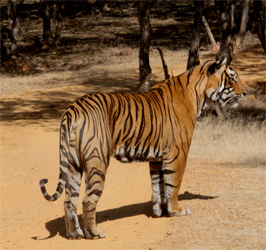 DELHI – MUKTESHWAR - CHALNICHINNA - CORBETT - AGRA - DELHI. Enjoy the scenic landscape & culture of Garhwal through cycle. An opportunity to experience the magnificence of Himalayan peaks. Garhwal is a paradise for nature and unique experience with village people.